The location is literally half a block from Souk Madinat Jumeirah. I arrived with plenty of time to spare. They offer complimentary coffee and tea. Their facility is air conditioned and has bathrooms for public use. You can walk outside and take pictures as the helicopters land and takeoff. You can take a camera with you on the flight. I was by myself with two couples, so they put me up front with the pilot. It was awesome getting pictures and videos from the front seat. There was a fair amount of dust over the city, but that is to be expected. The pilot was very nice and just made the flight that much more comfortable. It was a smooth takeoff and landing with no turbulence. 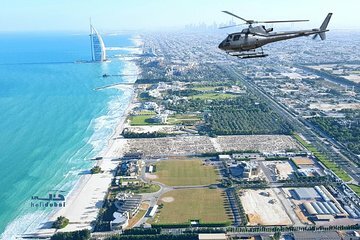 I would suggest this to anyone wanting to getting a unique view of Dubai. The employees did a great job with a brief safety instruction course and preparing us for the flight. Unfortunately, the day was very hazy and we were not able to get good photos. 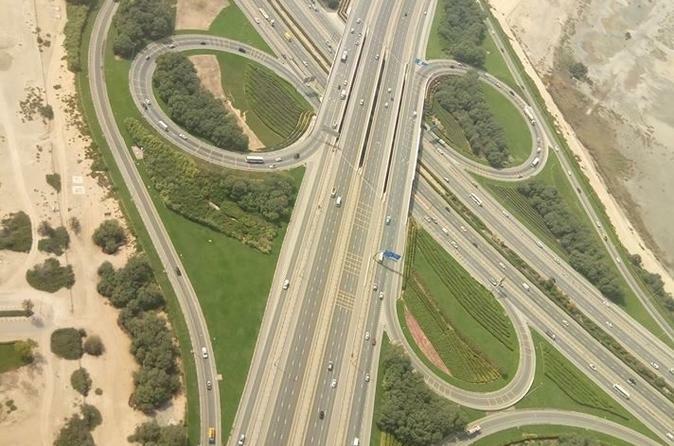 It was still a great way to see Dubai. what amazing sites its a must!! The organization was good and the helicopters in great shape. Pilot was very trustful, the flight very too? smooth and the views great. The Dubai Police academy is in walking distance to the Mall of Emirates and the Burj Arab, so easy to combine into the sightseeing trip. So exciting to take aerial tour of city and catch all the highlights from above! Love seeing the Burg Khalifa, Burg Al Arab and Palm Jumeriah from the sky. Our pilot was experienced and made sure that he picked out all the photo opportunities! This helicopter experience is amazing. 17 minutes allows you to see everything you want to see and the service is very slick. Only thing is that like a lot of people, the taxi driver could not find the venue and even security at the festival village entrance weren't much help.